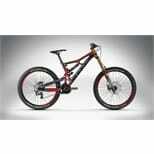 Race ready – no need to change a single part to compete in the downhill World Cup. Every part is optimized for weight but remains bombproof. In 2014 we put the TWO15 on a diet and were able to reduce its weight significantly. 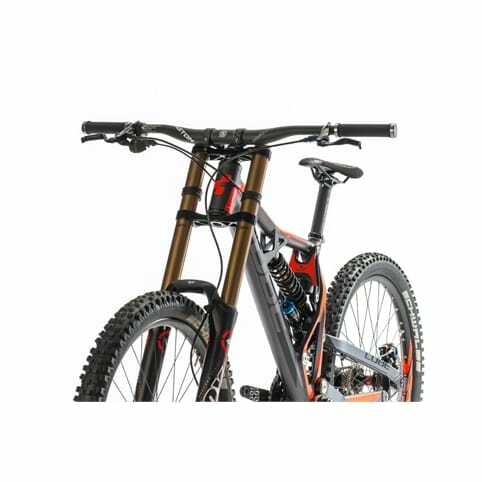 The kinematics and the smooth interaction between the frame and the new Fox 200mm air fork and DHX RC 4 shock is unbelievable. 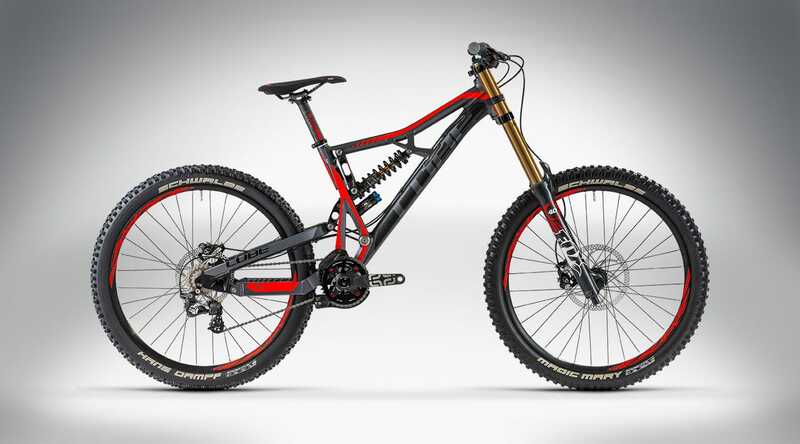 The newly developed Fox 40 Air RC2 FIT is light for its intended use but is fully featured: High- and low speed rebound and compression is adjustable, there`s a 20mm through-axle and the fork is Kashima coated. 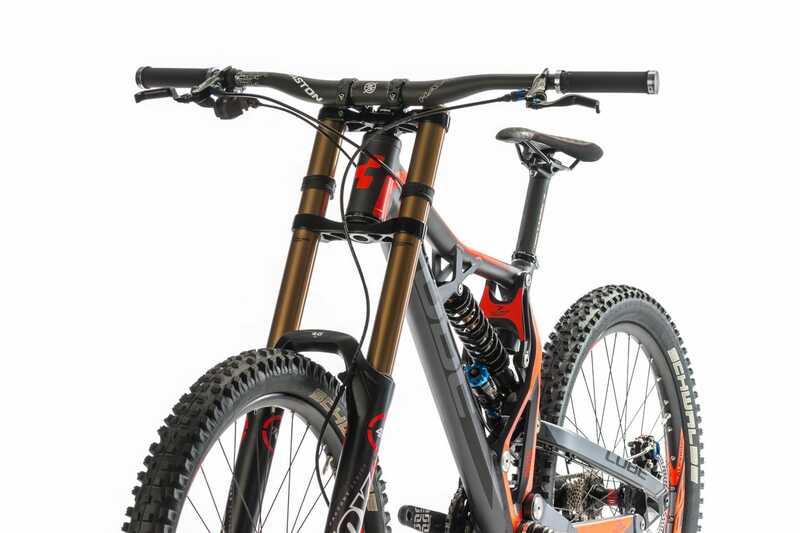 The new Fox DHX RC4 shock is very sensitive and highly adjustable: Preload, high/low speed compression, rebound and the progression is adjustable in two ways, with air pressure or with the volume of the compensating reservoir. The frame comes with four bar DH suspension with Triple Linkage Kinematics perfectly tuned to the Fox suspension parts. 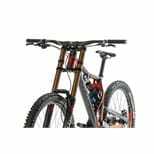 All components are meant for speed and flawless function: Shimano Saint transmission, e*thirteen LG1R crank with oversized axle, powerful Formula RO disc brakes with oval pistons for perfect control in hard terrain, adjustable pad contact point and lever reach for perfect brake ergonomics. Weight is reduced by the cool DH wheels with ultralight DT Swiss 240 hubs, wide Alex Supra30 rims. The CUBE Performance Motion Carbon post and lightweight SDG Fly Ti RL saddle complete the package.